Built to order, just for you…..
Nestled in the pretty countryside of the South West, in the Vale of the White Horse, this bustling workshop is at the heart of our Millbrook Collection. 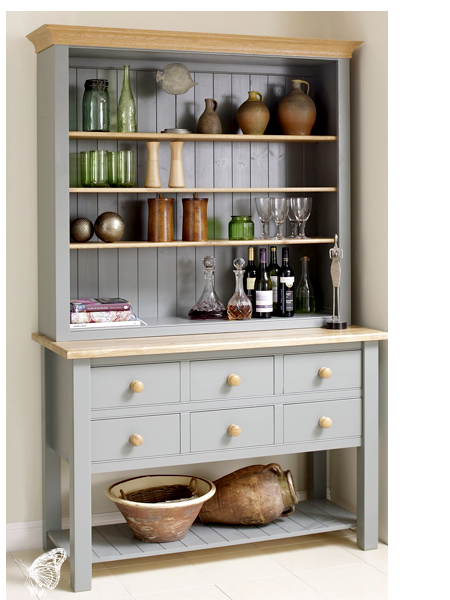 Here we design, hand build, assemble, paint and finish your chosen piece, especially for you. 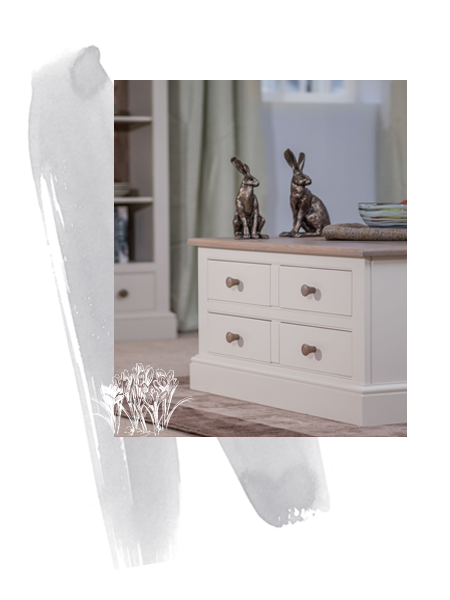 When you place an order on our website, or in our showrooms, we begin making your piece in the style and colour you choose. 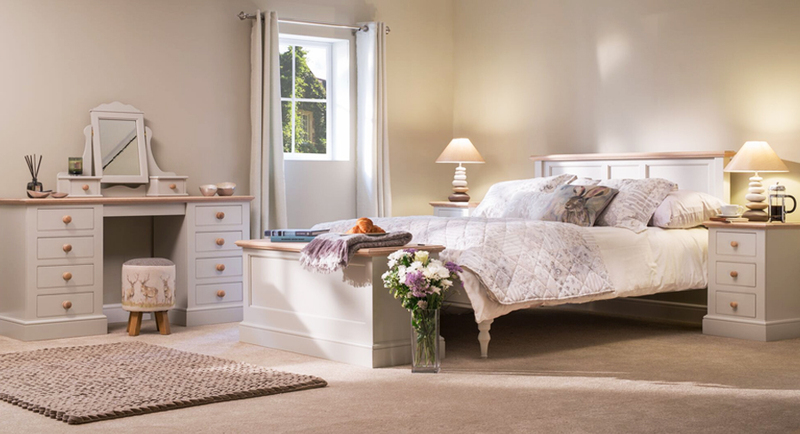 Whether it's a statement dresser, a versatile storage cupboard or a full bedroom set, our Millbrook collection has been designed to both complement your style... and last a lifetime. and 'boy does our Millbrook collection reflect this. 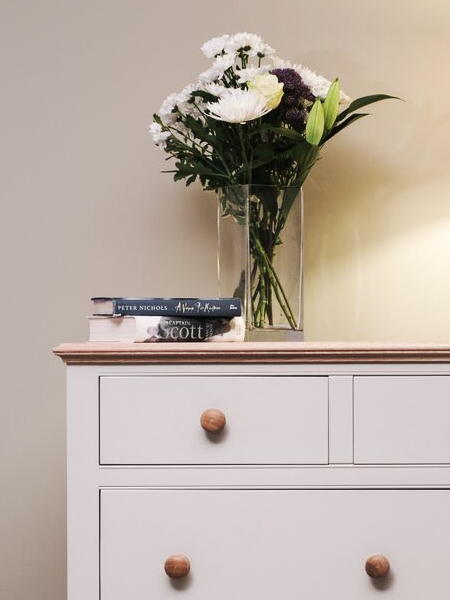 In order to achieve a perfect finish (and we settle for nothing less), all of the furniture in our Millbrook collection is constructed from solid timber. 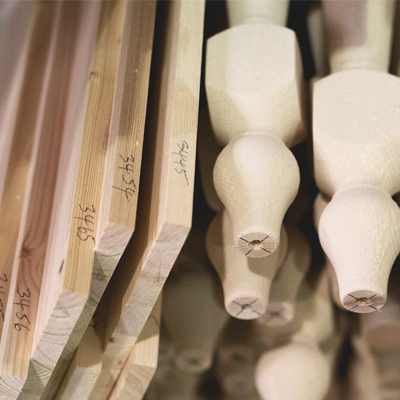 We use grade one American Oak for the stunning top sections and carefully selected Tulip, poplar and knot free pine for the main body. Experience has taught us that these timbers are the best for providing the solid and stable foundation we need for painted furniture. 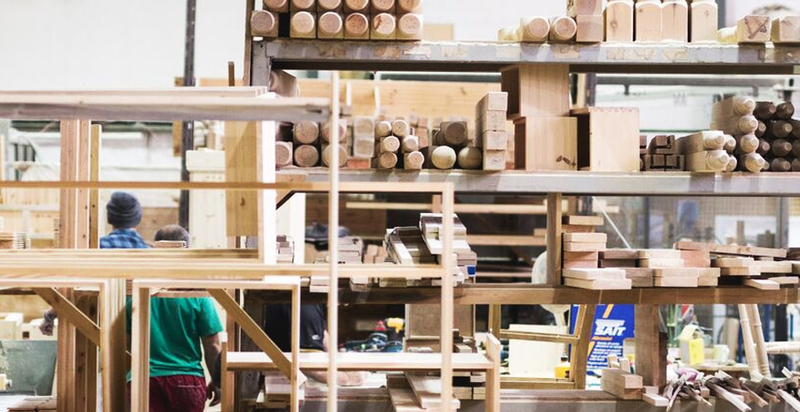 Most houses will see a rise and fall in temperature as we move from summer through to winter, and most timber will move slightly as the air and humidity around it changes. 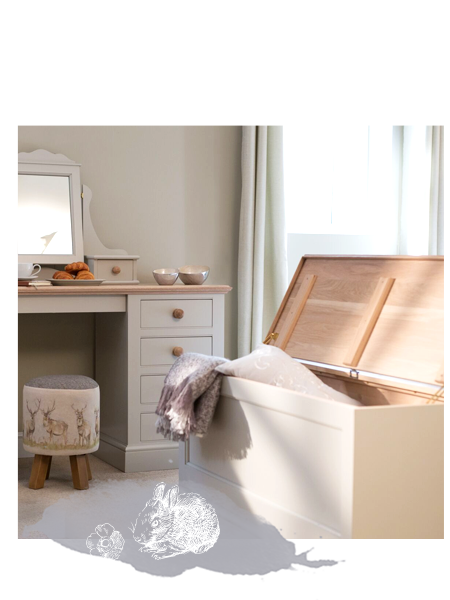 This is completely fine for furniture that is not painted, but for painted furniture, this is something that needs careful consideration as any movement in the timber could cause the paint to crack. We take care of this by using timbers such as tulip wood which are very tightly grained and knot free. For the legs - we want consistency! From dining tables and coffee tables, dining chairs and dressing tables; all of our legs are hand turned to our own design, a beautiful mix of classic and contemporary. 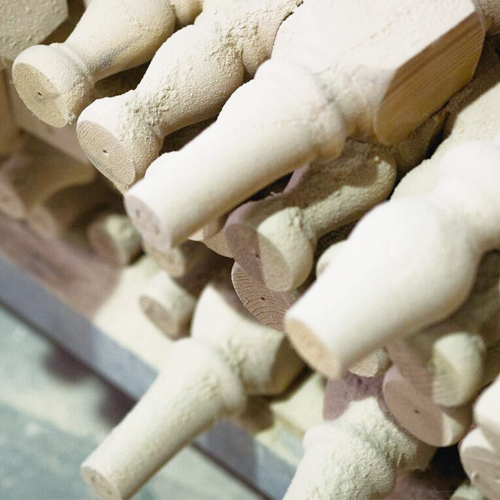 We're very precise here at The Painted Furniture Company and we hand-pick the timbers for every piece of furniture. 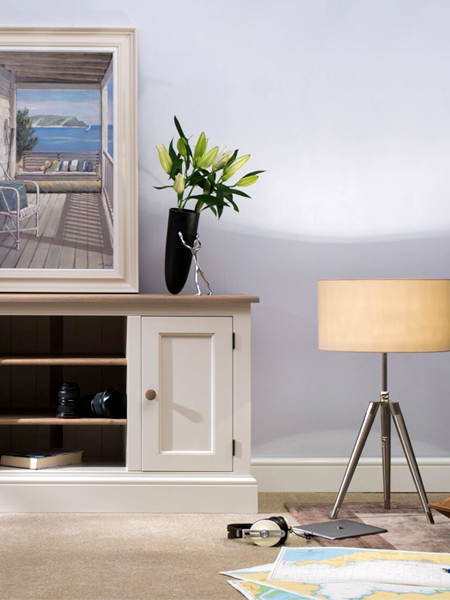 The designs for the Millbrook collection were created in-house with the aim of creating elegant, relaxed and timeless furniture. 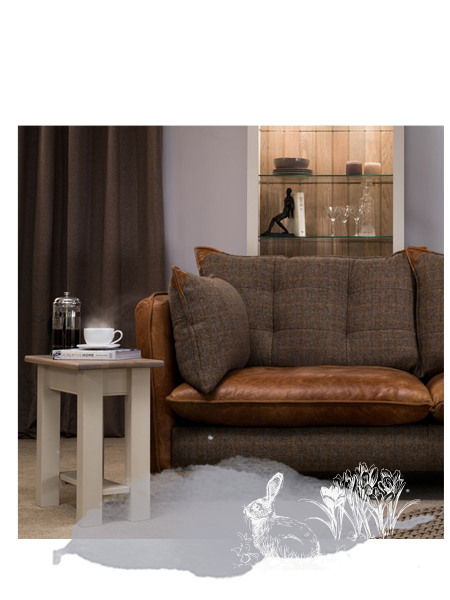 This collection has the ability to fit seamlessly into contemporary settings, whilst also adding style and a touch of sophistication to the most traditional, 'country-cottage' interiors. 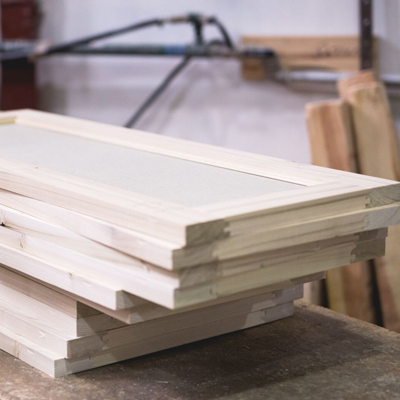 Possibly the most important part of the process is the measuring and cutting process. In our factory we love to go back to basics. You will see plenty of rulers, pencils and drawings alongside our machinery. 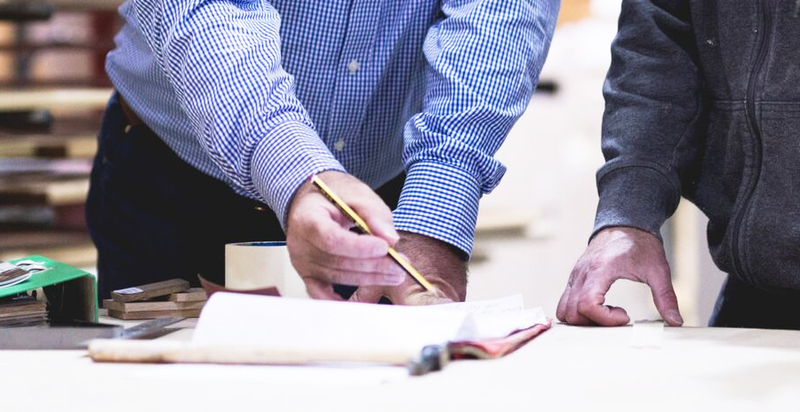 We know that one small incorrect measurement at this stage can spell disaster later in the process, so every element of our construction are measured and measured again. 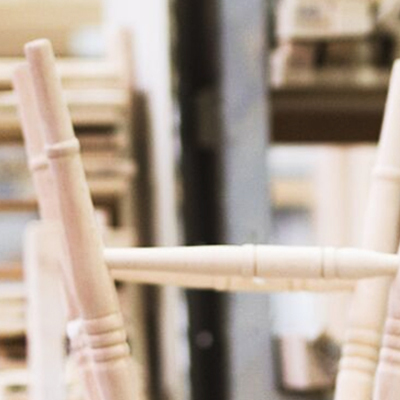 The construction technique used in our furniture is very much a mix of modern and traditional; just like our style! 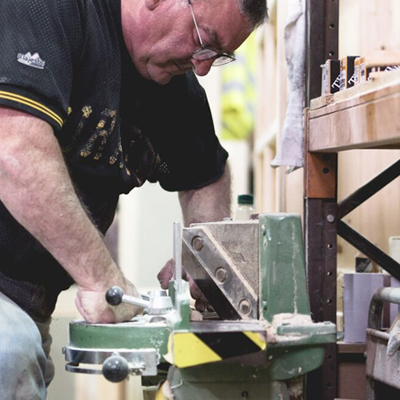 In the Millbrook factory you will see modern machinery that helps to achieve the perfect finish, but we also love to use traditional techniques such as dovetail joints. The skill on show in our workshop truly comes into its own at this stage in the process. 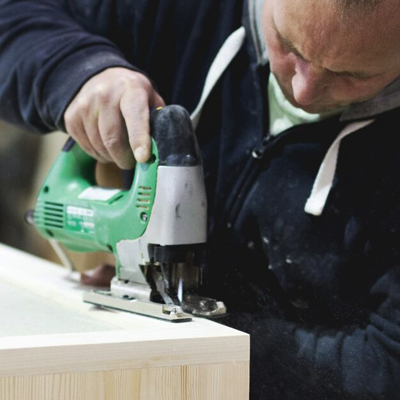 As each section of your furniture is connected our craftsmen fine-tune the joins and inspect the details. This is where hand production has the upper-hand over mass production. Slight adjustments are made here to ensure 100% perfection. Each drawer, for example, is hand fitted and adjusted to fit in its particular drawer box, the base of each drawer is then marked so we know which one fits where, just in case we have to remove the drawers to carry a heavy piece upstairs. This is the sort of detail which gives your furniture character and personality. 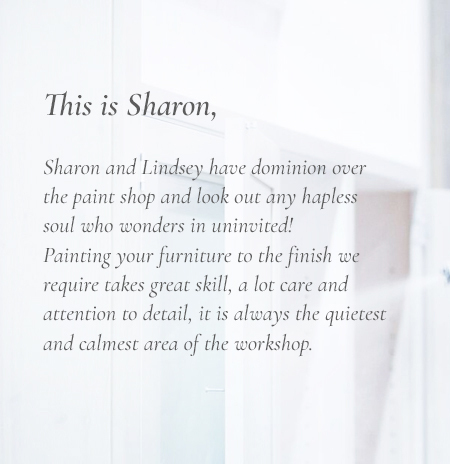 The paint that we have selected for this collection is extremely high quality. We have worked hard this far to achieve premium quality, so the paint work must reflect this. We use special catalysed paints, which contain a hardener. The hardener allows the paint to dry more quickly and achieves a stunningly smooth and durable finish. 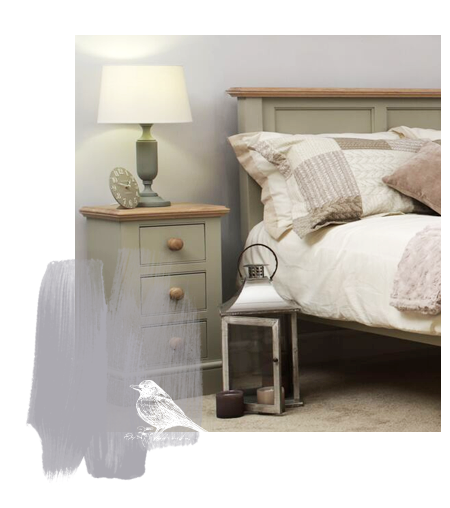 The finish on the Millbrook collection is set to allow just the vaguest hint of the underlying wood grain. There's a choice of 23 beautiful shades, ranging from our popular favourites such as Cloud, Rockford and Cotton, alongside many new and varied shades. Whichever colour you choose, you can be sure it will look stunning. 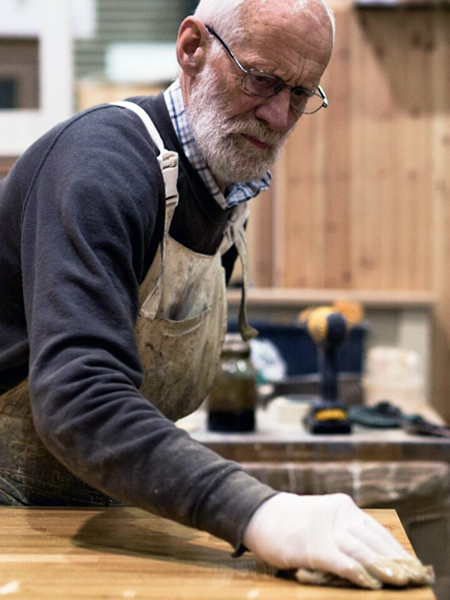 Roger is responsible for colouring, oiling and finishing every Dining Table which leaves the Millbrook workshop, and every Oak topped Chest of Drawers, Sideboard and Coffee table. It may not be efficient in a modern way, but who are we to argue? 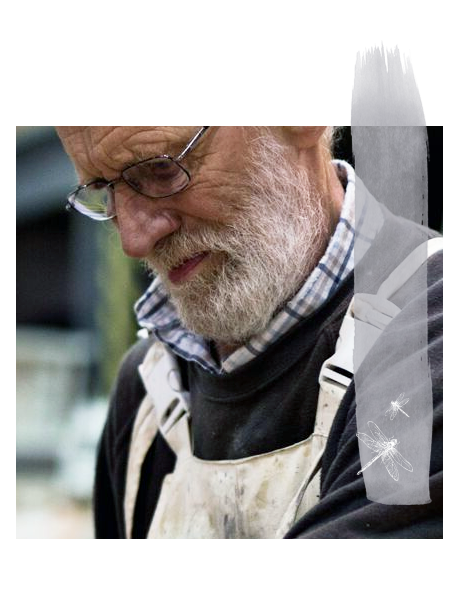 Roger has 60 years experience and he’s good. 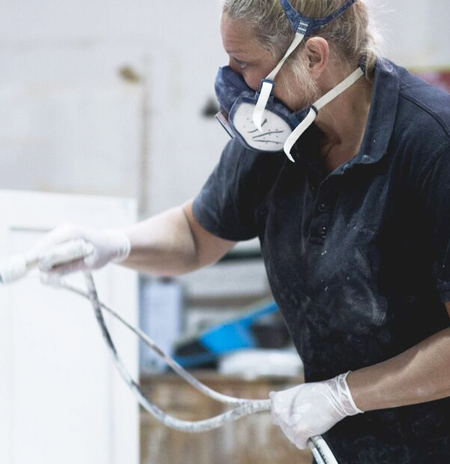 Once the painting process is complete the furniture is moved to our infra-red drying oven, where it 'bakes' for 24 hours. This ensures the paint is completely dry and cured and any paint odours are eliminated. All hinges and brackets are then re-fitted, re-checked and doors re-hung before your furniture is wrapped, packed and sent off on its journey to your home.